We chose a rustic and revisited decor that fits perfectly in its mountainous environment. The wood takes an essential place in its design, especially since ecology and natural materials are so important to us. 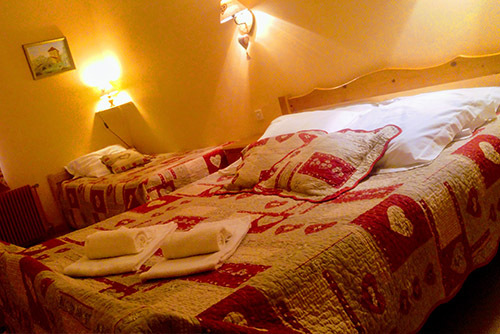 Les Clochettes du Risoux reflects our own personality and not just a hotel in the mountains. A warm welcome and friendly relaxed family atmosphere awaits you and every detail has been designed to make you feel at home. Here and there, James has brought his English touch by placing some English styled decoration.